Magento is one of the best e-commerce platforms that enables sellers to customize their front-end to a great extent. 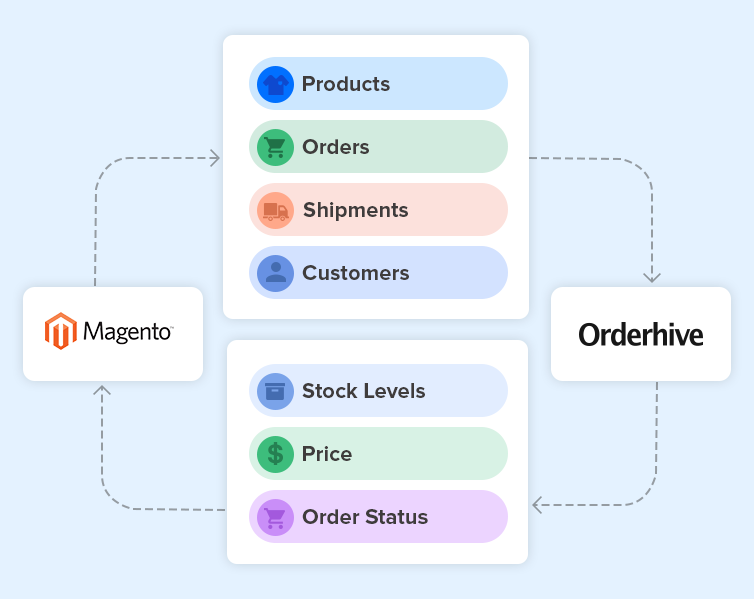 Orderhive seamlessly integrates with Magento, allowing merchants to centralize inventory and shipping management operations. 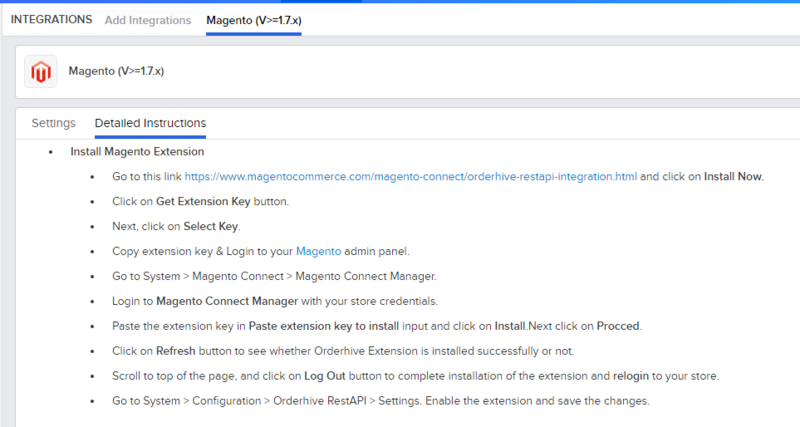 Go to Integrations, under Platform click on Magento. Follow all the steps mentioned in the Detailed Instructions tab and connect your store. Note: Integrating Magento is a relatively lengthy process and it can get a bit overwhelming for non-technical folks. We would suggest you to get help from your Magento developer if you face any hiccups. Your Orderhive account manager too can set up this integration on your behalf.